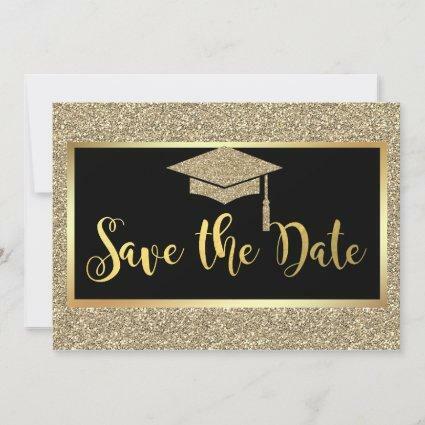 Send out this elegant,chic and classy black and faux rose gold graduation postcard to your family and friends. 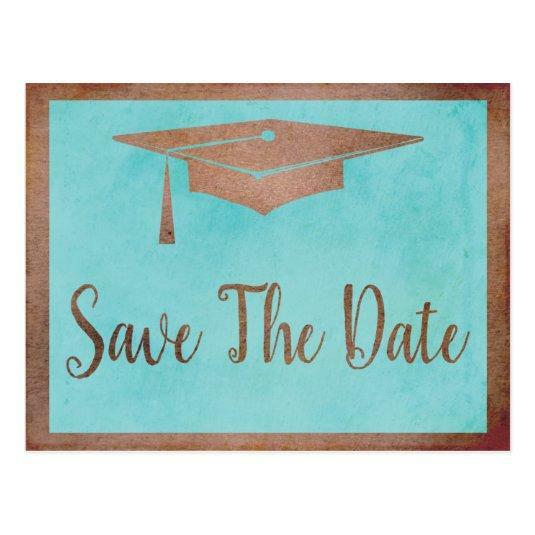 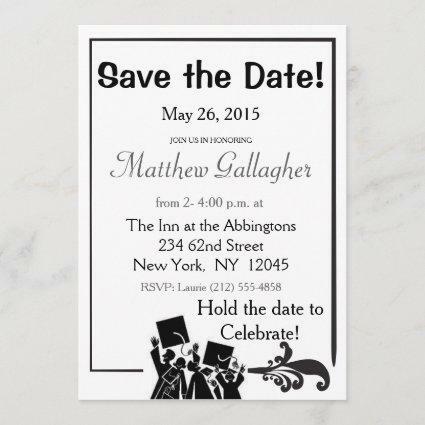 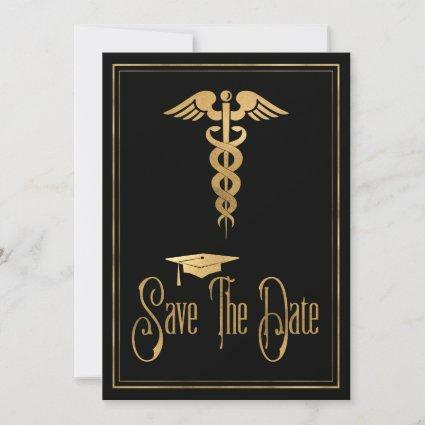 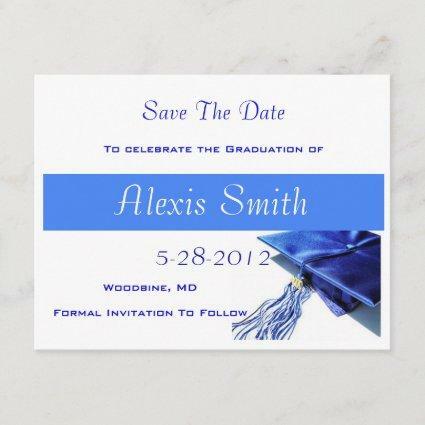 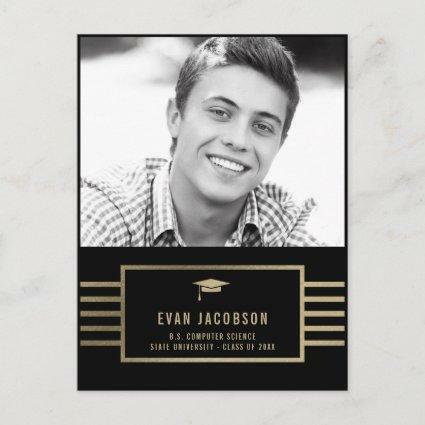 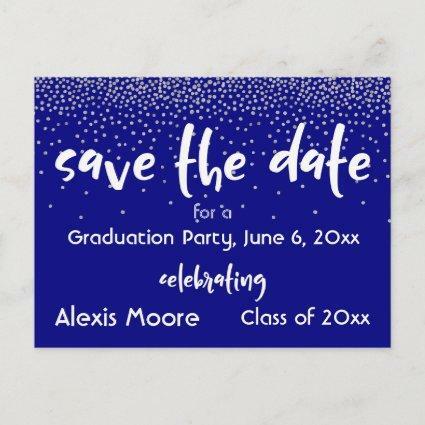 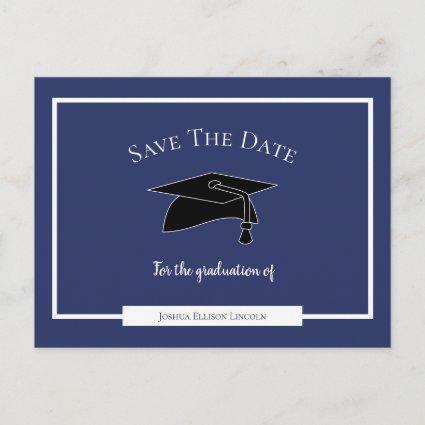 Graduation Save The Date postcard modern and simple design features a graduation cap. 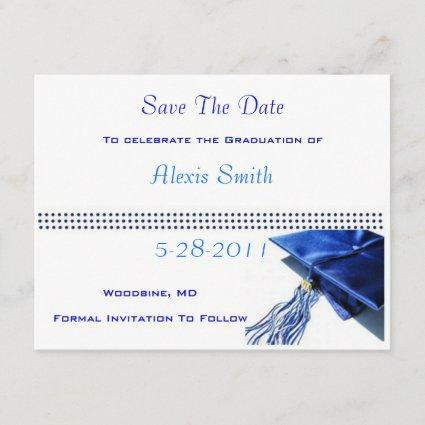 Design on front and back of graduation card.